About us | JOY TECH - Xin Xingya Animation Technology Co.,Ltd. Our goal from the start has been to offer very knowledgeable, caring and professional service, rated firm - And through two decades of very hard work and dedication, we have achieved these goals. Our clients range from family entertainment centers/ theme parks and arcades to industrial and shopping malls chain stores. 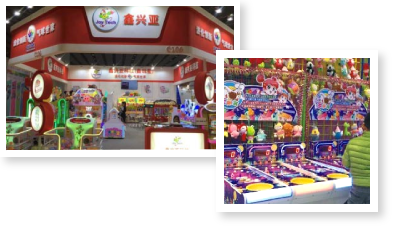 Joytech offers many services to the amusement and entertainment industry anywhere in the world, from product customization, design, floor planning, game room layout, equipment selection, installation and technical training services. Thank you from all of us here at Joytech/ Jetstar for your interest in our firm, and we hope that we can earn the right to your valued business in the future by offering the very best product selection, prices and service.